For English speaking seniors, lacking computer skills can be a major handicap in using social media to connect with family and community. Because those in the 55-plus demographic often live alone, with family far away, transport and accompaniment to appointments is another need. Two innovative and sustainable projects targeting these needs, are among 10 programs in Quebec sharing in a $1 million Community Innovation Fund, provided by the federal government’s Social Partnership Development Program and managed by the Quebec Community Groups Network. The New Hope Senior Citizens’ Centre in NDG is using its $87,840 grant over two years for classes that help seniors upgrade their computer skills and thereby break isolation. The classes are popular and well attended. They fit into the social reality of NDG because it has one of the highest concentrations of English- speaking seniors in Quebec, an estimated 41 per cent of whom live alone. Amel Taisier, program coordinator at the centre, says the grant enabled them to lease laptops, tablets, and digital cameras, and hire the teacher, Gabriel Velasco. Interest was high among those who use its programs, including the Rendez Vous series New Hope runs with the NDG YMCA. “A lot of people had been asking about computer programs. They have their grandkids who are using devices,” Taisier said. “Many family members have left the province and they want to use Skype and send emails.” In addition, seniors want help with increasingly complex Smart Phones. To ensure the classes were successful, the program recruited volunteers to provide one-on-one help. Lessons are 90 minutes and Tuesdays and Thursdays, the students practice for 90 minutes with volunteers. Participation is limited to 33 students, most over 55. There are two intermediate level classes and one for beginners. The program is free for members of New Hope. Membership costs $24. Barbara Ann Howard said she enrolled in the program to learn to send e-mails and improve her Google searches. It was so beneficial that after completing her first six-week session, she enrolled in a second one. Nicole Wernhart joined as an intermediate, wanting to upgrade her IPad skills. “I needed to brush up on a lot of things, and it’s been very useful. If you’re confused about something, you get help right away,” she observed. Instructor Gabriel Valesco says the word is getting out in the community, and now there are three classes instead of two. The students themselves decide what they want to learn. 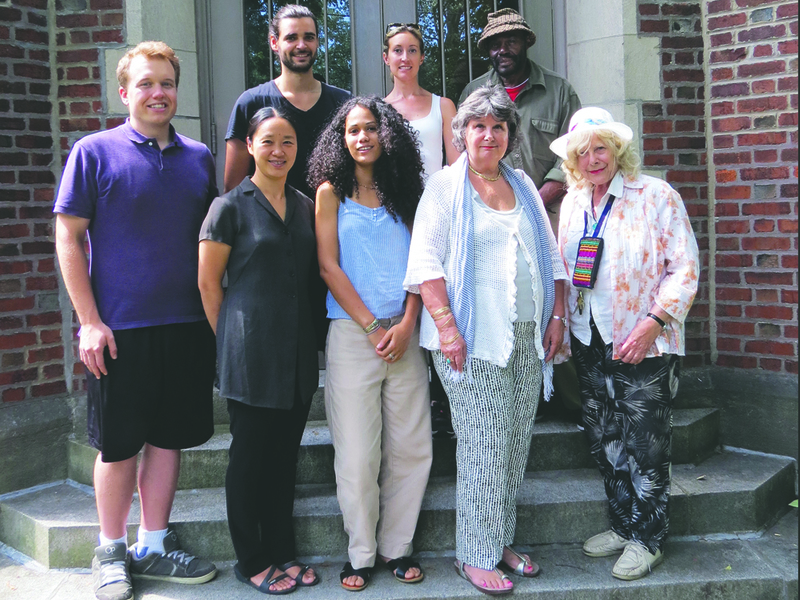 The NDG Senior Citizens Council, in its 42 years of work assisting low-income area seniors and combating isolation, had been using volunteers to transport people in the 50-plus demographic at no cost, provided they receive the old age supplement. The program is called Action Transport, and coordinator Anne Mackay explained that when she came on board four years ago, she was overseeing medical transport to medical appointments for about 150 people. Volunteer drivers were paid a minimal stipend, to cover expenses. All had driver’s permits and could communicate in English or French. Thanks to the funding, the number receiving help with medical transport has more than doubled and the drivers’ stipend has slightly increased, although it remains below the minimum wage in Quebec, which is $12 an hour. Action Transport user Yvonne Weiss, in a letter to the council, described the program as “a godsend,” while Kathy Jukes wrote from Vancouver to express gratitude for the help given to her mom in Montreal, Julie Ramanoski, who is 92, has health issues, uses a walker, and is hard of hearing. Be the first to comment on "New Hope: Federal fund offers NDGers lifts, computer training"